November 3-December 19: Of Creatures and Children: glimpses of people and animals from around the world. Solo art exhibition, Stone House Gallery, Fredonia, KS. March 14-April 4: Of Creatures and Children: glimpses of people and animals from around the world. ​October 1 to November 30: featured artist at City Gallery, 118 S Person Street, Raleigh, NC. 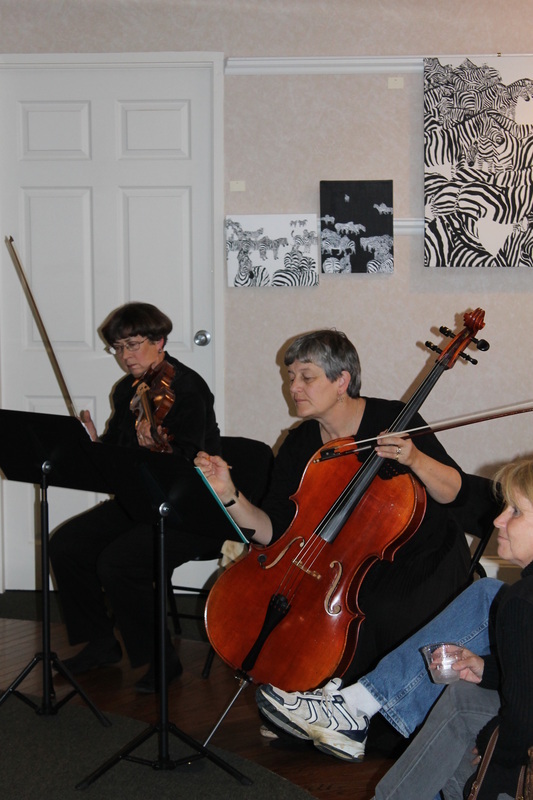 Photographs from Fredonia Arts Council soup supper & meet the artist event, November 7, 2014. The Stone House Gallery, Fredonia, KS. Feature artist talk at Pullen Memorial Baptist Church, Raleigh, NC. December 2016.